Trump was evidently pleased by the praise: "Thank you Kanye, very cool!" 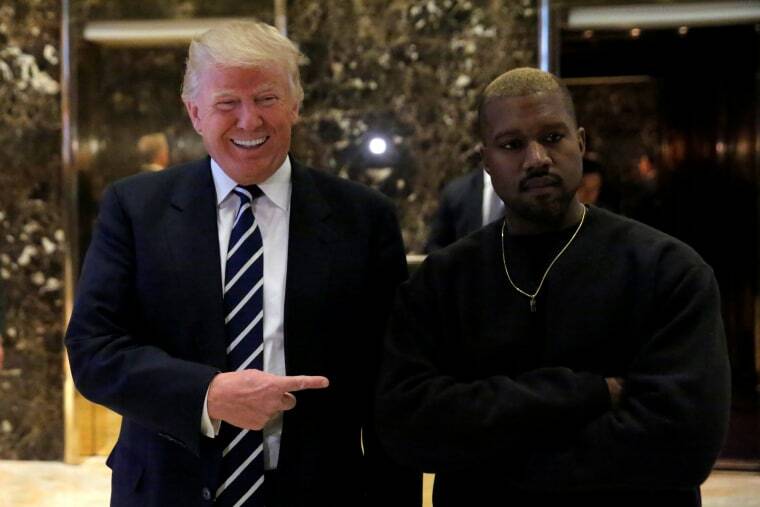 Kanye West, making the most of his return to Twitter after almost a year away, doubled down on his praise for President Donald Trump on Wednesday, calling the president his "brother" and saying the two men share "dragon energy." West, who famously paid a visit to Trump Tower in the aftermath of the 2016 election, has raised eyebrows among some of his fans in recent days with his tweets supporting the president, including one with a photo posted on Wednesday in which West wears a "Make America Great Again" hat. "You don't have to agree with trump but the mob can't make me not love him," West tweeted Wednesday. Trump, for his part, returned the compliment, tweeting: "Thank you Kanye, very cool!" The president later retweeted West's photo of a signed Trump hat with "MAGA!" The latest round of praise for the president comes as West has ramped up his activity on Twitter, treating his tens of millions of followers to a torrent of philosophical musings and cryptic pronouncements. In addition to his effusions about the president, West has posted videos of "Dilbert" creator Scott Adams, who predicted Trump would win the 2016 election and has since become a pro-Trump personality. West also tweeted admiration for Candace Owens, a conservative pundit who has criticized the Black Lives Matter movement. And he took a shot at former President Barack Obama in another tweet Wednesday evening. "Obama was in office for eight years and nothing in Chicago changed," he wrote. Asked about West's admiration for the president on Wednesday afternoon, White House press secretary Sarah Huckabee Sanders said: "I don't know of any conversation they've had over the last week or so." "I'll keep you posted if that changes," Sanders added. West's support for Trump has been met with plenty of criticism and even some speculation about his mental state — West was hospitalized under a medical welfare check in November 2016 — which drew the ire of Kim Kardashian West, the artist's wife. "To the media trying to demonize my husband let me just say this... your commentary on Kanye being erratic & his tweets being disturbing is actually scary," Kim Kardashian West tweeted. "So quick to label him as having mental health issues for just being himself when he has always been expressive is not fair." Fellow Chicago rapper Chance The Rapper, a close friend and collaborator, also came to West's defense, saying on Twitter that he recently spoke with the artist and claimed he's "in a great space" mentally. He also backed up West's support for Trump. And Kanye West defended himself directly, saying his irreverence on Twitter offers inspiration for fans to be their genuine selves. "And any fan of me wants Ye to be Ye even when they don't agree because I represent the fact that they can be themselves even when people don't agree with them. Drops mic," he tweeted.